Flexibility and control to protect your company’s most valuable information. 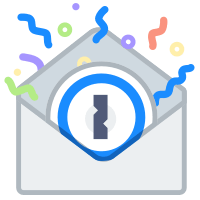 1Password Business is the perfect solution for companies of all sizes that need fast deployment and fine-grained controls. 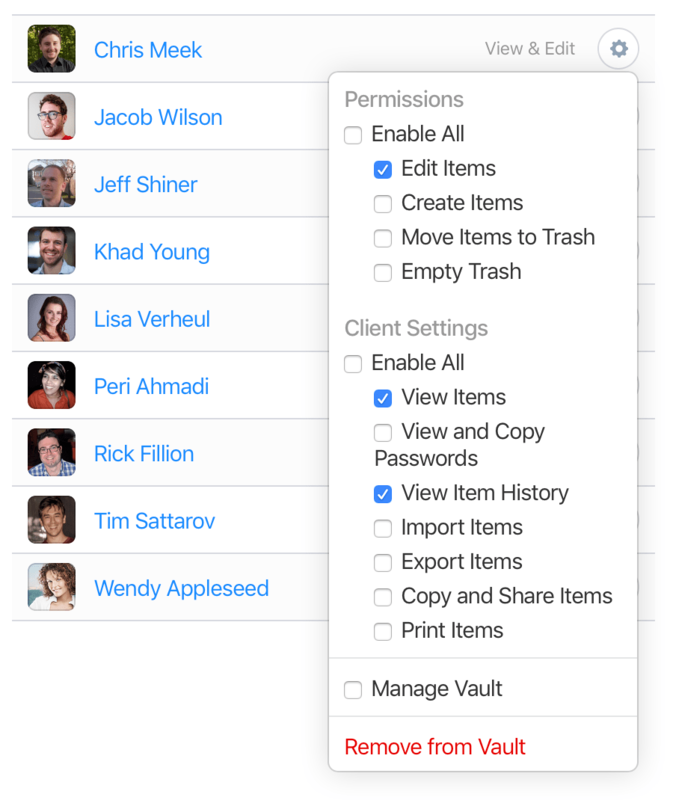 Permissions can be set for each employee, group, and vault. Access rights are as granular as you need them to be. 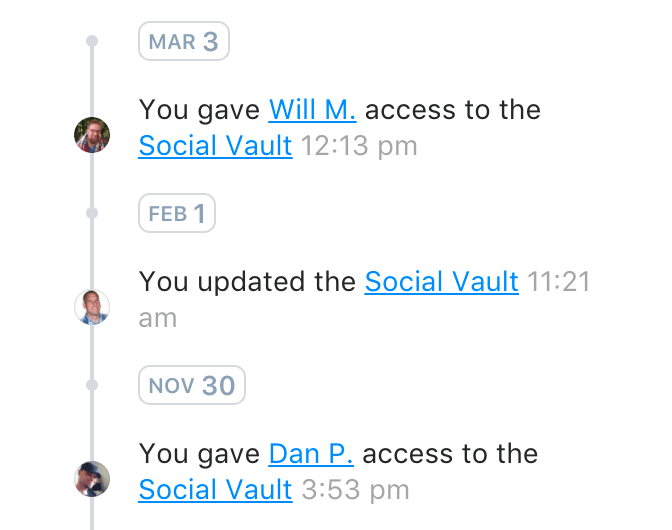 Everything in the Activity Log can be clicked to reveal more details about people, groups, vaults, and devices. 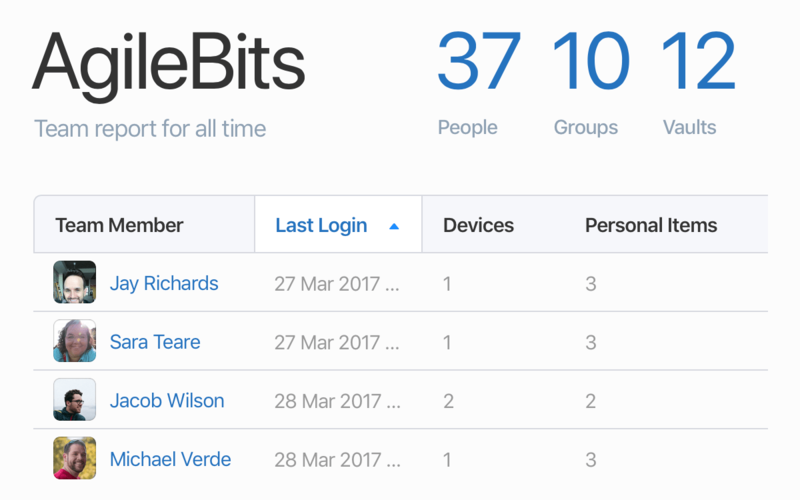 Get analytics and insight into how your business is using 1Password. Usage reports help you make sure that an employee’s current access is right for their needs. They also allow you to know which passwords need to be changed when someone leaves. Organize people by department, location, or however you choose using custom groups. Managing groups is just as easy as managing individual employees. 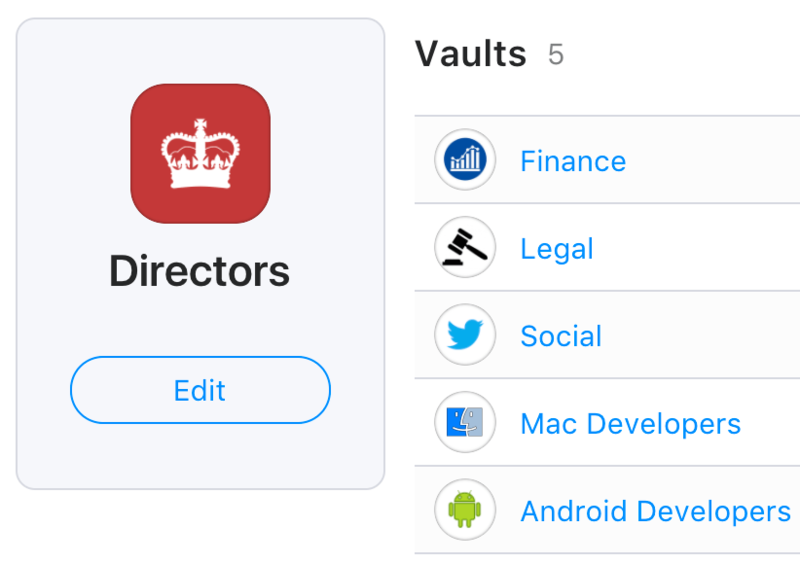 You can give groups access to vaults and change their permissions, so you don’t have to worry about keeping track of everyone separately. Delegate responsibilities, like account recovery or subscription management, to different groups or people. 1Password Business includes free family accounts for everyone in your company. Multiple accounts make it easy to separate personal data from business data, and at the same time see everything you need on all of your devices. To upgrade to 1Password Business, sign in to your account on 1Password.com. Click Billing in the sidebar and choose 1Password Business.